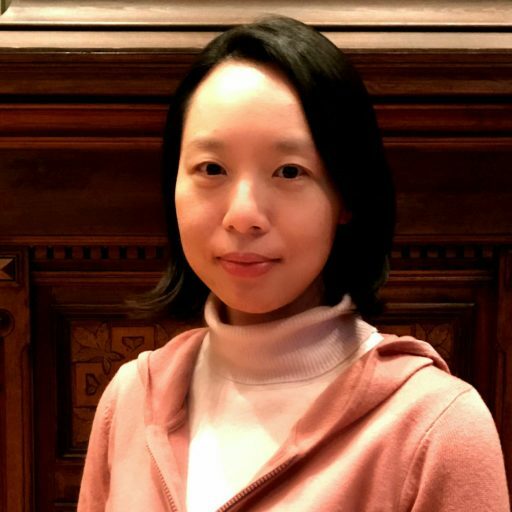 Dr. Yoon Jin Shin ist Senior Researcher am Center for Global Constitutionalism des Wissenschaftszentrums Berlin (WZB). Sie war Richterin in Südkorea. Park was elected president in late 2012 with overwhelming support from older citizens who regarded her as continuing the legacy of her father, Park Jeong-hee. Her father ruled the country with an iron fist between 1961 – 1979, after seizing power by a military coup. The two-decade military dictatorship solidified longstanding maladies of Korean society in the form of authoritarian, hierarchal and militaristic political and social culture as well as a collusive relationship between the government and chaebols (family-run conglomerates). After Park Jeong-hee was assassinated in 1979 by his own national security chief, another eight years of military dictatorship followed. Under overwhelming pressure from nationwide democratization movement by citizens in June 1987, South Korea adopted a new democratic constitution in October 1987. Notwithstanding Park Jeong-hee’s poor record on human rights, the rule of law and democratic reforms, many older citizens continue to admire and even revere the deceased authoritarian ruler for achieving rapid economic growth and keeping the country safe from North Korea. Park’s daughter successfully made her way to the presidency, positioned as an iconic figure for conservatives, who embraced her like a princess of a dynasty (as the first daughter then also acting as first lady after her mother was killed, she spent most of her childhood and youth in the President’s Palace, the Blue House). The crisis that led to Park’s impeachment began in October 2016, when a series of news reports stunned the country. They revealed that Park has apparently let her old confidant Choi Soon-sil effectively rule the country: an unknown 60-year-old woman, without any background in public service or other relevant qualifications was effectively in charge. Interviews, reports, and investigation results showed that Park was incapable of making any decisions without Choi’s approval or direction: on national policies, appointment of high rank government officials, the content of Park’s speeches, or even adjustment of her presidential schedules. Choi even decided what Park should wear each day and unlawfully arranged Park’s regular cosmetic procedures to be conducted by Choi’s private doctor. Using Park’s dependency on her, Choi placed her right-hand persons in the Blue House, government bureaus and corporations, and attained confidential information that she used for her own profits. Park herself directed her staff to show secret documents to Choi and get her approval first before proceeding. Choi abused this position to massively enrich herself: She requested Park to create public foundations for her and extract donations from chaebols. Following Park’s order, a Blue House officer assigned to each chaebol the “donation” they were to pay for Choi’s foundations. Park met the president of each chaebol one on one requesting their contributions. Around 70 million USD was gathered from chaebols in a few months. Choi operated the foundations as her private business, handily acquiring contracts for numerous government-sponsored projects. Choi’s accumulated fortune is assumed to be in the billions. This relationship between Park and Choi goes back to Choi’s father Choi Tae-min, a self-appointed priest and spiritual guru with Rasputin-like access and influence in the former Park’s dictatorship era. Choi Tae-min approached the first daughter Park when her mother was shot dead in 1974 in an attempt to assassinate her father. Choi Tae-min reportedly told Park that he saw her dead mother in his dreams and he will be her messenger. Park in her early twenties developed an absolute trust and dependency on this fake priest. The U.S. Embassy in South Korea reported to the U.S. government in 2007 that “Rumors are rife that the late pastor had complete control over Park’s body and soul during her formative years and that his children accumulated enormous wealth as a result.” Park succeeded her father’s position, and so did Choi Soon-sil. With the scandal unfolding, more and more citizens made their ways to streets and squares to protest. Park’s approval rate went below 5 %. 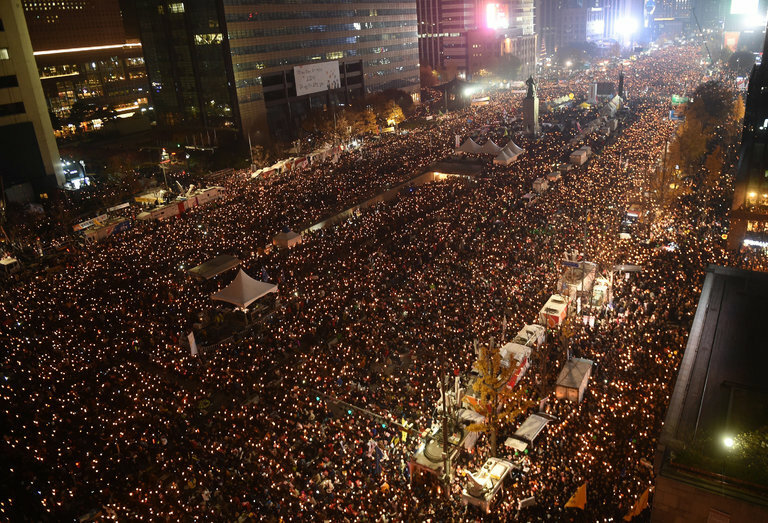 Ordinary Koreans, engaged in busy lives and world-famous for their work ethic, decided to spend their Saturday evenings to demonstrate outside in ever greater numbers for the past months. Without affiliations with any organizations, parents with baby carriers, friends, colleagues, whole family members, middle and high school students, and countless single participants just walked out from their homes and offices to gather in their city squares with candlelights. Farmers in rural areas drove their tractors all the way to Seoul to join the protest. Artists, scholars, lawyers, and politicians also participated. People sat on cement streets for hours facing wind and snow under minus ten Celsius coldness. They sang, took turns for 3-minute voluntary speeches and made wry parodies and artistic performances depicting Park as an avatar or a puppet of Choi. People expressed their demand and hopes for a new Korea, a nation where justice and fairness would prevail. Furthermore, many of the senior citizens in their 60s and 70s who voted for Park in the presidential election also showed up with candles out of disappointment and anger. They had, after all, voted for Park, not Choi. For many of them it was their first time to participate in any kind of protest in their lives. In the twenty large scale protests around the nation for the past 137 days, more than 16 million citizens are estimated to have participated. (The total South Korean population is about 50 million.) Their protests were calm, peaceful, orderly and also joyful. There were no casualties or injuries, nor were there any collision between the citizens and the police. Rather, people thanked the police for doing their job in the cold weather and the police took their main role to be protecting citizens’ safety, not stopping their protests. Citizens attached flower-shape stickers on police buses as a symbol of peace and harmony. They brought plastic bags with them to bring their garbage home. NGOs and volunteers distributed candles, raincoats, sitting cushions and hot tea. Waving a million candlelights, people sang together the lyrics like “Darkness cannot defeat the light. Falsehood cannot defeat the truth.” Their hand held placards included the words Democracy, Justice, Impeachment, People’s Sovereignty, and the Constitution. 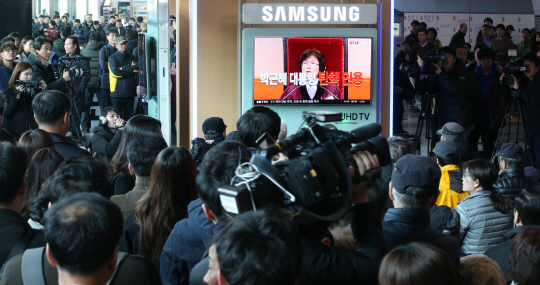 With everyone’s eyes focused on TV and internet live broadcasting last Friday at 11 a.m. Korean time, the acting Chief Justice Lee Jung-Mi, the only female justice of the Court, delivered the Court’s decision in a calm but clear tone. The Court began its 89-page decision mentioning that the impeachment procedure is a legal procedure, and not a political one, and that it exists to protect the constitution and to realize the rule of law. According to Article 65 of the Constitution, the National Assembly can pass motions for impeachment of the president, other high rank government officials or judges in case they “have violated the Constitution or other Acts in the performance of official duties.” Article 53 of the Constitutional Court Act provides: “Where a request for an impeachment is well-grounded, the Constitutional Court shall pronounce a decision that the respondent shall be removed from the relevant public office.” The Court interprets “well-grounded” to mean the case in which there is a “grave” violation of constitution and other laws. The court held that this was the case: Park had violated her constitutional duty to observe fairness and impartiality as public official, a duty rooted in the principle of representative democracy and people’s sovereignty, by abusing her status and power as president for seeking private persons’ interests. The judges also found her violation of corporations’ constitutional right to free operation and their right to property: by using her presidential power to make a request–which is de facto binding–to contribute to Choi’s foundations, infringing the corporations’ rights without legal grounds or procedures. The Court also confirmed that Park violated her legal duty to maintain government secrets: by handing over numerous classified documents on foreign policy, human resources affairs, president’s schedules and other policy matters to Choi. The Court concluded that Park repeatedly and proactively abused her powers as President—which has been entrusted directly from the citizen with democratic legitimacy and as a delegation of people’s sovereignty—for personal purposes; and that this constitutes a grave violation of law. The Court also pointed out that Park’s constant attempt to conceal the existence of Choi throughout her presidency obstructed the separation of powers from operating, making checks by other constitutional institutions and civil society impossible. The judges decided that Park had violated her duty to defend the constitution and betrayed the people’s entrustment. Along with the impeachment procedure, investigations of other figures involved in the affair have proceeded in parallel. The National Assembly held hearings and summoned heads of major chaebols, including Samsung, Hyundai and LG, and high rank government officials and interrogated them publicly. An independent, special prosecution team was created by legislation. As a result, major actors involved in the scandal are now behind bars facing criminal trials: Choi Soon-sil herself; Samsung’s acting head Lee Jae-yong (a son of the Samsung’s president); key Blue House members and high rank government officials who assisted Choi; the university president and professors who gave Choi’s daughter various privileges; and others who pursued unlawful benefits using their relationships with Choi. It is the first time that Samsung’s head is arrested, signaling the end of an era in which the conglomerates have been criticized for building their own republic and acting beyond the law. The arrest of Kim Ki-Choon, Park’s former Chief of Staff, is also of historical significance. Kim is considered as an iconic figure of living authoritarian legacy in South Korea. He developed his career as a high rank prosecutor specialized in national security cases during the former dictator Park’s era. Under his lead, the current Park’s administration made a “blacklist” of nearly 10,000 artists, writers, scholars and other figures critical of the government. It has been revealed the national security agency aided Park in her presidential election, by systematically disseminating false accusations against the opposing candidate using fake twitter accounts: typical tactics of authoritarian regimes. The university entrance and high school graduation of Choi’s daughter have been invalidated after the investigation revealed the institutions gave unlawful privileges to the girl in the process. The German prosecution is currently investigating concealed assets of Choi’s family in Europe, which is suspected to be as much as 10 billion USD. The Park’s affair highlights longstanding political and social problems in South Korea dating from the authoritarian era. Excessive power concentrated in the president (the so-called imperial presidency) is prone to abuse, and the intimate relationship between the government and chaebols has precluded fair competition and excluded outsiders and newcomers. The scandal that occupied the whole country for the last four and half months was the cause for a great deal of despair, but it also opened unprecedented opportunities for a new start. Korean citizens already have the experience of a successful democratization movement in 1987, which ended three decades of military dictatorship. The democratization then mainly meant institutional and formal reforms such as adopting a new constitution that provided direct presidential elections, introducing term limits to prevent dictatorship, and the creation of the constitutional court with jurisdiction to enforce basic rights. Three decades later, citizens have mobilized again to advance their democracy in a substantive sense. During the authoritarian era, people protesting were arrested, tortured and killed. This time citizens, making use of their constitutional rights by peacefully mobilizing on the street and operating through the constitutional process, successfully removed a corrupt and incompetent president. The Constitutional Court created by the 1987 democratization process played a crucial role in 2017. In 1987 the constitution was the achievement and consolidation of a process of democratization; in 2017, the constitution was the framework through which democracy could be defended and deepened. Citizens and the Court have marked an end for a new beginning. The clear contrast between Park, Choi and their group’s modus operandi, and citizens’ candlelight protest followed by the Court’s serious constitutional engagement highlights the co-existence of the past and the contours of better future in Korean constitutional history. The curtain is being drawn on a powerful corrupt and authoritarian legacy. Citizens regained hope for real democracy and confidence in their role to achieve it. Following the Court’s impeachment decision, the law provides that a new presidential election will be held in 60 days. The leading presidential candidate in nationwide polls is Mr. Moon Jae-in, a center-left politician, who was a human rights lawyer during the military dictatorship era and who had lost to Park in the previous election. Citizens now call for arresting Park, who lost immunity by impeachment, and to criminally prosecute her. Demands for reforming chaebols as well as overcoming authoritarian culture within educational, business and government institutions are widespread, and genuine reforms seem a real possibility. In March 2017 in Seoul, Spring appears to have arrived. But the summer will define how this constitutional moment will figure in South Korean constitutional history. 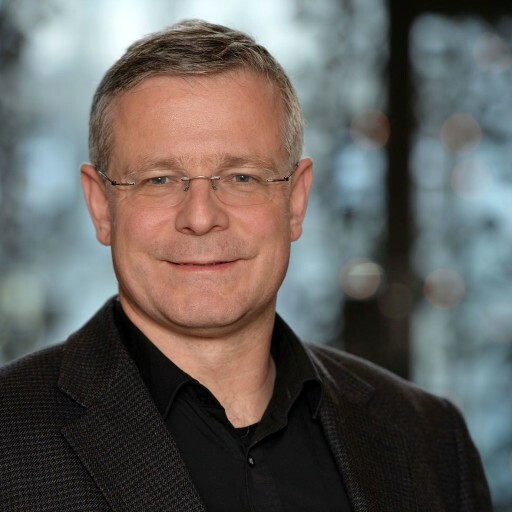 SUGGESTED CITATION Shin, Yoon Jin; Kumm, Mattias: Impeaching Remnants of the Authoritarian Past: A Constitutional Moment in South Korea, VerfBlog, 2017/3/14, https://verfassungsblog.de/impeaching-remnants-of-the-authoritarian-past-a-constitutional-moment-in-south-korea/, DOI: https://dx.doi.org/10.17176/20170314-202108. Thanks for this excellent report on an amazing change in South Korea forced by a "populist" movement.